Brightway, Cole Agency, located in Palm Beach County, Florida, is a one-stop shop for all of your insurance needs in South Florida. We have one goal: To provide you peace of mind. At Brightway, we match your wants and needs with the right insurance policies to protect everything that’s important to you. My Brightway agents provide the best range of coverage and price in South Florida for your home, autos, family, business and much more. 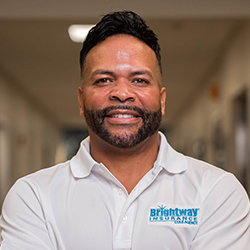 I’m Chris Cole, and I’m the owner of Brightway, The Cole Agency. I give you my personal guarantee that you will have a one-of-a-kind experience while consulting with my agents. We will provide you with the appropriate coverage at the lowest possible price.